A triumphant close to The Requiem for Homo Sapiens – an epic tour de force that began with The Broken God and was followed by The Wild. Danlo wi Soli Ringess now has the greatest mission of his life to complete. With Bertram Jaspari's evil Architects terrorising the universe with their killing star – the morrashar – and Hanuman's Ringists intent on converting the rest of humanity to the Way of Ringess, Danlo must somehow try to prevent War in Heaven. Behind him travels an army of lightships, commanded by the ever-larger-than-life Bardo, falling from fixed-point to fixed-point throughout the deep, dark spaces of the Vild, ready to do battle, if they must, with the Ringists' fleet, lying in ambush for them beyond the Star of Neverness. 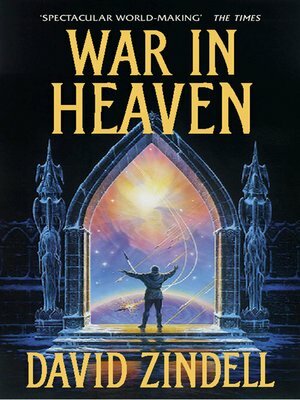 War in Heaven brings to a cataclysmic finale the most amazing and awe-inspiring journey in modern science fiction, combining the ultimate in space adventure with philosophy, mathematics, spirituality and superb characterization. It is truly the greatest romantic epic of modern sf.